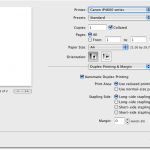 Duplex printing on Canon Pixma iP4600 | Christoph Bartneck, Ph.D. I have been looking for a new printer that could print on both sides of the paper (duplex). 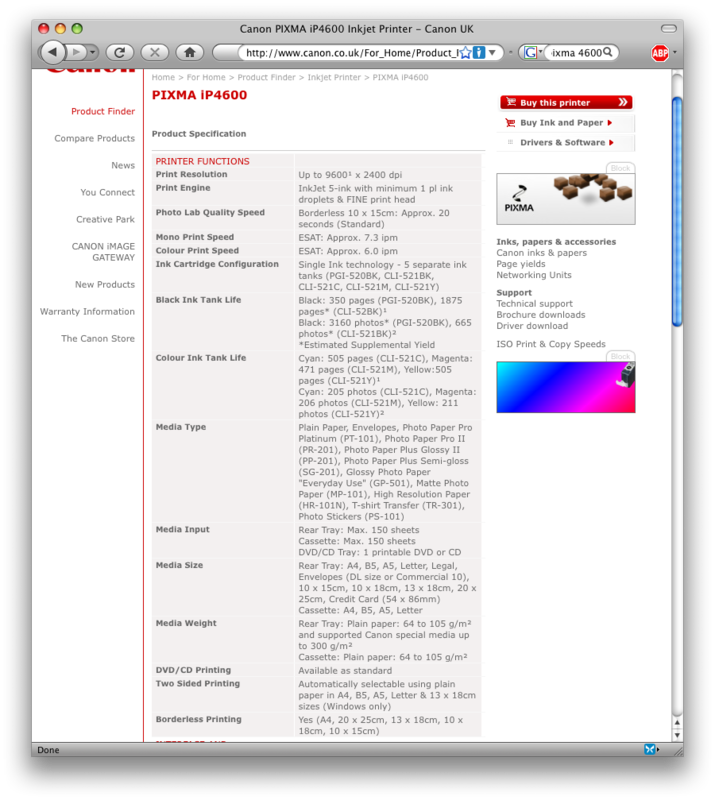 The Canon Pixma iP4600 caught my attention since it it supposed be able to print duplex. However, the specifications are unclear. It looks like only Windows computers can print duplex (see screenshot below). Since I am using a Mac, that would be rather dissapointing. I googled around and found no clear anwser. In the end I bought one and tried it out myself. 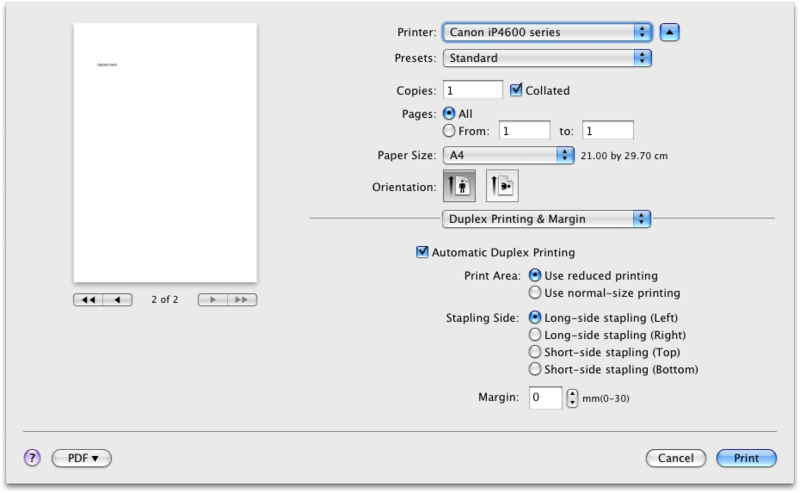 I can confirm that it is possible to print duples on the iP4600 from a Mac (see printer dialogue below). 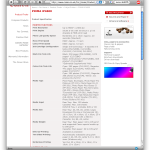 Canon’s specifications should be more precise.